If your developer team doesn't have an assigned security team champion, get one of these mugs. 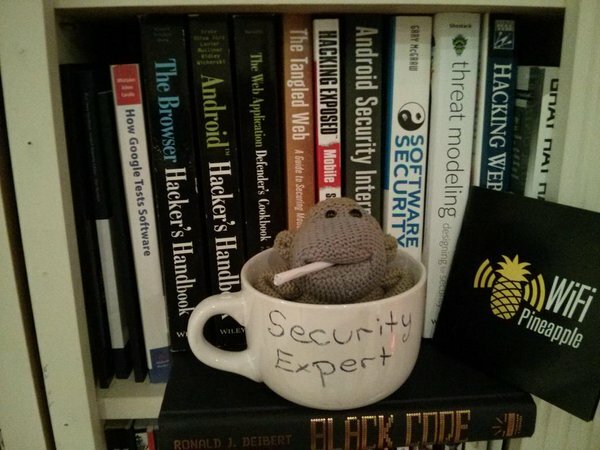 That 'Security Expert' mug represents the fact that, without a securit champion, when a developer has an application security question, he might as well ask the dude on that mug for help. I also like the fact that the mug reinforces the idea that for most developer teams, just having somebody assigned to application security is already a massive step forward!! Put the mug in a central location, visible place to the team. It is important that the mug is a neutral place, and not 'assigned' to anybody. In some teams, I've seen the ritual that when a Security Champion is appointed, he/she gets the mug to put on his/her desk.